I know in just the last vlog, I promised to keep production level up for the vlog posts in this new year…yet it has been nearly two months since I last posted. When I made the statement to produce more vlog posts, I had not anticipated that my computer would fail. Well, it did. But now, I am finally back in the tech-age with a new and improved computer, and the vlog must go on! Today’s post is the sixth track from the Elton John album, and one of my all time favorite Elton John songs, Sixty Years On. I love the transformations that Elton has made to this song throughout its various live performances. Of course, being on the Elton John album, this song contained a vast string arrangement. I believe, however, that the way Elton performed this song stripped down with the three piece band at the Troubador Club in 1970 is one of the major reasons that he truly broke himself as such an over-night sensation in America. I chose to play the song similar to that arrangement, stretching the solos between the verses and varying the intensity of the song from start to finish. Bernie Taupin’s lyric is about an old war vet, who is lonely but unwiling to perpetuate his isolation. The music wraps itself beautifully around this haunting lyric. At Elton’s 60th birthday concert at Madison Square Garden, he opened with a brilliant rendition of this song, and shared with the audience that when he first wrote the song, he never could have imagined actually playing it for tens of thousands of people on his 60th birthday. And Elton John certainly has not had a lonely existence in his more than 60 years of life. I hope you enjoy my rendition of Sixty Years On. Keep your eyes peeled for the next few vlog postings as they should be coming pretty rapidly. Border Song and The Greatest Discovery are recorded and ready to go. Thanks as always for having a look at the vlog. I absolutely love Sixty Years On, especially from the 11-17-70 album. I really enjoyed your arrangement. You don’t sell or make available your sheet music transcriptions, do you? If so, I’d be interest in getting this song! Thanks for your comment! Unfortunately I don’t have a transcription of how i play the songs. I’m using the sheet music that is available in Elton books that are sold in stores, and I just do some embellishment to those arrangements. First let me explain that I have been an Elton John fan for over 30 years. I listen to every note, every word and nuance of his music. You BLEW me away with your renditions of his music. I have yet to come across anyone who plays his music so beautifully, and near exact to how he plays piano. Not to mention your choices of his songs were almost everyone I would have picked had someone asked me. Lol. Elton has played Sixty Years On in different variations, but this one was ALWAYS my absolute favorite. I cannot praise you enough. I had the chills. And only Elton can do that to me…….. You are going on my ipod STAT! Thank you so much for your kind words! You have no idea how much it means to me. 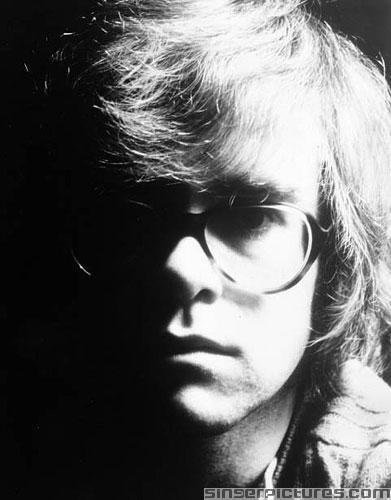 I spend a great deal of time working on the songs to emmulate Elton’s style as best I can. Thank you again!